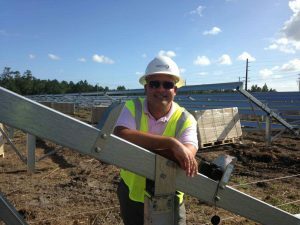 Alder Energy partnered with Santee Cooper to build a large-scale solar farm to create a cleaner energy solution. The ground mounted systems is installed adjacent to the Bucksville Substation off of US-701 in Horry County. The installation utilizes 5,904 solar panels to generate an annual production of 2,827 megawatt hours (MWh) of clean renewable energy. 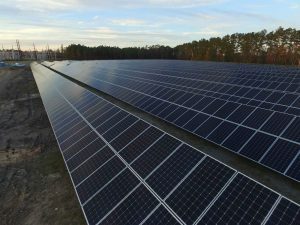 The solar farm sits on 10.03 acres of land where it will reduce CO2 emissions’ impact by 39 tons every year. Ready to Learn How You Can Make a Profit off of Your Unused Land? Products: 5,904 solar panels- Trina Solar Tallmax TSM-DE14A(II) 340W monocrystalline.